Luke Rudkowski interviews Oliver Stone and Peter Kuznick following the debut of their series, "The Untold History of the United States." Luke discusses with them about the lack of outrage shown towards the President Obama's continuation of Bush's policies. Luke also talks to them about what should be done in regards to a new investigation into 9/11. There was a "commission" to investigate the JFK assassination too. What makes the 911 Commission's conclusions more honest? 911Peacenik on Tue, 11/13/2012 - 7:31pm. Oliver Stone actually gets up and walks away to avoid elaborating on his pathetic answer! He's as bad as Amy Goodman. The thing I really like about this new Martin Sheen, Woody Harrelson movie is that it will force the issue of 9/11 truth into the mainstream since Stone and Goodman (and Moore) will not. 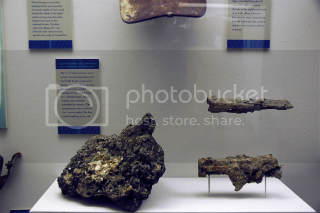 Hey Luke, you should take your camera into the NYPD Police Museum in NYC and interview the curator about the melted pistols encased in molten concrete. This smoking gun for CD and 1,750 + degrees F. is not locked away in a hangar -- it's on public display in a museum in NYC!! A POLICE museum! RL McGee on Tue, 11/13/2012 - 8:56pm. Concrete does not melt, at least not in the way you may be thinking. Concrete is composed largely of gravel an sand, with Portland cement that holds the sand and gravel together into a solid mass. The sand and gravel will melt, but you will not be doing it in your kitchen oven! A temperature of several thousand degrees is needed, and the result will be much the same as the lava that comes out of volcanos. After all, gravel and sand are just rock, as is molten lava. 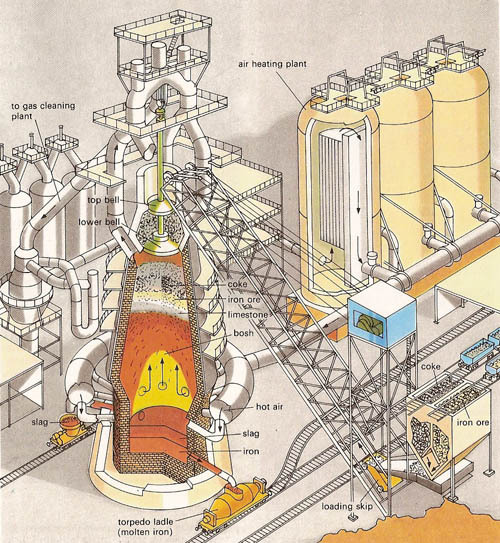 The Portland cement in concrete, is a mixture of various hydrates and silicates of calcium, aluminum and other elements. It too is a "rocky" material that will not melt at any practical temperature, either. Source: http://www.newton.dep.anl.gov/askasci/mats05/mats05054.htm That is a dot.gov website by the way. I am not an engineer, however I am a chef and I can recognize this recipe right off: Pistolet cuit en croûte de béton (Pistol cooked in a crust of concrete ala pig in a blanket) that doesn't just happen! Peter ORourke on Wed, 11/14/2012 - 2:06am. Ynda on Wed, 11/14/2012 - 9:03am. Peter ORourke on Wed, 11/14/2012 - 12:11pm. jkeogh on Thu, 11/15/2012 - 1:48am. Just the thing I was after - thanks! Ynda on Thu, 11/15/2012 - 8:17am. This is more extreme even than the melting point for steel and way out of line with the official fire temps in the buildings. Someone has to account for this evidence. The curator cannot pull a John Gross and simply deny the existence of what he's standing beside. 3. He denies that he is standing in front of previously molten concrete. RL McGee on Wed, 11/14/2012 - 1:49pm. That museum is closed right now due to Hurricane Sandy but maybe when they reopen some one in NYC can go over there and ask them. Peter ORourke on Wed, 11/14/2012 - 2:01pm. Ynda on Thu, 11/15/2012 - 8:22am. Peter ORourke on Thu, 11/15/2012 - 9:43am. Stone Has Potential To "Get It". Its possible he may not be "up to speed" so to speak on the multitude of suspect areas surrounding the event. Perhaps more contact with some of his peers who do "get it" could bring him around as they say. But hard not to notice how he suddenly departs from the table once the 9/11 questions began getting asked. And Luke R. has become a good journalist. His lower key approach is getting more people of interest to talk more. Aidan Monaghan on Wed, 11/14/2012 - 6:47am. Because of Oliver Stone's JFK, I believe he, and Amy Goodman and, maybe even Michael Moore, have been "warned off" touching 9/11 Truth with a carrot and stick. The stick: "we know where you, and your family, live". The carrot being the opportunity to make movies (well that's the case with Stone and Moore). Ynda on Wed, 11/14/2012 - 9:00am. Stone was warned off for sure. Remember what a mealy-mouthed-non-humorous movie W was? No content and nothing controversial, and not even compelling or entertaining - just straight washing over the of the "evil doer" himself. marzi on Wed, 11/14/2012 - 2:37pm. The dialogue was preposterous all the way through. Stone's "World Trade Center" was almost as bad. In one scene they do show Bldg 7 coming down and in another they have the Nicholas Cage character say "Don't think" in response to loud explosions in the background. Other than that...Nada! Joe on Wed, 11/14/2012 - 4:46pm. Compared with JFK, his movies W and WTC are blands-ville. How else can you explain his sudden conversion to the dark side? Ynda on Thu, 11/15/2012 - 8:25am. "the truth has a mind of its own"
The real deception of Stone is that he plays the part of a brave truth teller going up against power. Make no mistake: he's undoubtedly "up to speed" on 9/11. His new series on Showtime is called "The Untold History of the United States". In this recent LA Times story he says "Whether I go to jail or go into exile--it doesn't matter. I believe the truth has a mind of its own--and will get out there." Let's hope you're right Oliver, but let's not pretend you're actually helping it get out there. Hats off to Luke for putting him on the spot. His discomfort was plain obvious. chriskin on Wed, 11/14/2012 - 5:16pm.